This is a 100% Polyester Tube Fabric you can print with your own images. This facemask is lightweight and breathable and made for face protection against the elements in action sports winter, the wind and the sun.Get creative in designing these facemasks by uploading an image from your phone, place the image on the design template and send to print. Upload your own pictures using our custom design tool. Upload and scale your photos to create your custom face mask exactly how you want it. We handle the printing of your all over print face masks and ship it directly to you in 4-5 business days. Collaborate with one of the artists in our Art Collab Community and select from hundreds of unique designs to add to your item. When an item is purchased the providing artist is automatically credited a commission on the sale. Want to offer Custom Face Masks at a Live Printing Event? We can produce this high quality vibrant images with company logos, or other images to connect you with guests at your next event. 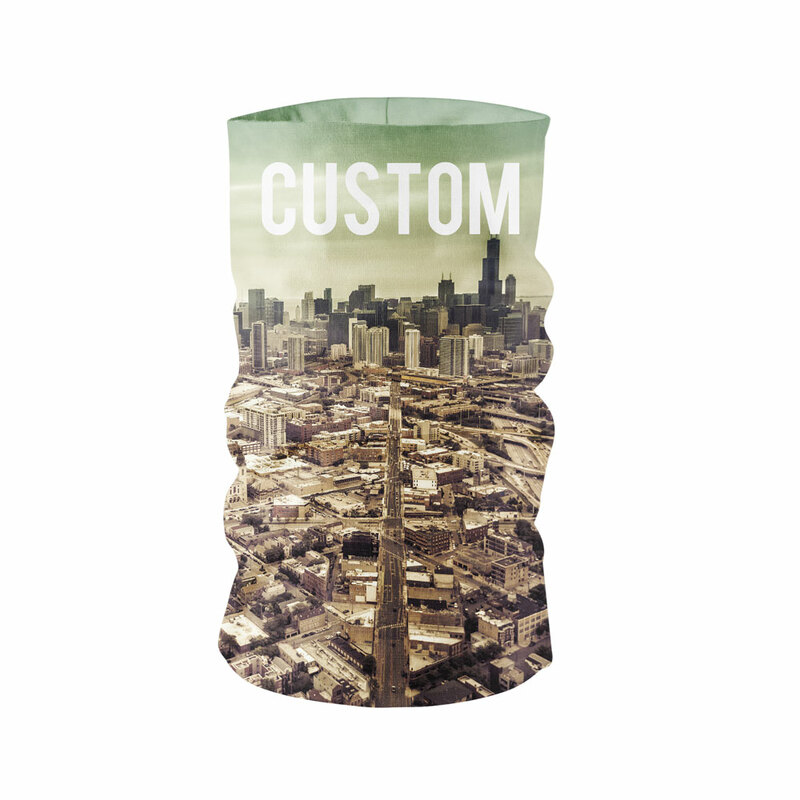 Custom Face Mask – This is a 100% Polyester Tube Fabric you can print with your own images. This facemask is lightweight and breathable and made for face protection against the elements in action sports winter, the wind and the sun.Get creative in designing these facemasks by uploading an image from your phone, place the image on the design template and send to print.